You are currently browsing jholmes’s articles. Applicants are sought for a three-year, fully-funded studentship to work towards a PhD in the Ruskin Research Centre and the Department of History at Lancaster University and at The Royal Society on the AHRC project ‘Soirées, science, arts and museums: region and metropolis, 1850–1924’. This collaborative doctoral award (CDA) will be supervised jointly by Professor Sandra Kemp and Dr Christopher Donaldson of Lancaster University, and Keith Moore, Head of Library and Information Services at the Royal Society. The studentship will commence in October 2019 and is open to UK nationals, or EU nationals who have resided in the UK for 3 years or more. The successful applicant will normally have achieved a Master’s degree (or equivalent) in history, history of science, art history, literature or museums studies, or will have done so by October 2019. The deadline for applications is 18th February. To find out more about the project and apply, click here. Registration for the conference costs £20 (full-price) or £10 for students and other unwaged delegates. To register, please click here. At 6 in the evening, the conference will be followed by a free public lecture by Fiona Stafford (Oxford) on ‘Ruskin’s Trees’. To register, please click here. Alongside the conference, we will be holding a rare exhibitions of designs for the museum by Ruskin and a number of Pre-Raphaelite artists. The exhibition will be open to all conference delegates, and to visitors to the lecture on a first-come, first-served basis, as numbers are limited. For further information, please email Catherine Charlwood at catherine.charlwood@ell.ox.ac.uk. Next year's Nordic STS Conference will be held at Tampere University, Finland, on 13–14 June 2019, with a pre-conference workshop for junior researchers on 12 June. The call for papers includes a specific call on Literature, Culture and Science with particular reference to Digital Cultures and the Medical Humanities. The deadline for abstracts is 18 January 2019. In honour of John Ruskin’s bicentenary, the Oxford University Museum of Natural History will be hosting a one-day conference on Ruskin, Science and the Environment on Friday 8th February 2019 from 9.30 until 6. Speakers will include Kate Flint (Southern California), Mark Frost (Portsmouth), Peter Garratt (Durham), Sandra Kemp (Director of the Ruskin Research Centre, Lancaster), Francis O’Gorman (Edinburgh), John Parham (Worcester) and Marcus Waithe (Cambridge). There will also be a brief introduction to Ruskin Land from John Iles and a tour of the museum by John Holmes (Birmingham). 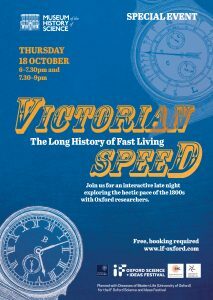 At 6 in the evening, the conference will be followed by a public lecture by Fiona Stafford (Oxford) on ‘Ruskin’s Trees’. Registration for the conference on Ruskin, Science and the Environment costs £20 (full-price) or £10 for students and other unwaged delegates. To register, please click here. Fiona Stafford's public lecture on 'Ruskin's Trees' is free of charge. To register, please click here. If you would like to attend both events, please register for each of them separately. A one-day interdisciplinary symposium in the Kohn Centre at the Royal Society, Sleep and Stress, Past and Present brings together expert scientists, medical practitioners, historians and literary critics to discuss the intersections between sleep and stress, both historically and in contemporary society. Prof Russell Foster (Head of the Sleep and Circadian Neuroscience Institute, University of Oxford) will give the keynote lecture. Other speakers include: Prof Sally Shuttleworth (University of Oxford); Dr Tiffany Watts-Smith (QMUL); Dr Melissa Dickson (University of Birmingham); Prof Nick Franks (Imperial College London); Prof Clark Lawlor (Northumbria University); Prof Chris Fitzpatrick (University College Dublin); Prof Matthew Beaumont (University College London); Dr William Maclehose (University College London); and Prof Guy Goodwin (university of Oxford). £30 delegate fee (£15 concessions) - please book here. Friday, 16th November 2018, 6-10.30pm - FREE - All Welcome! 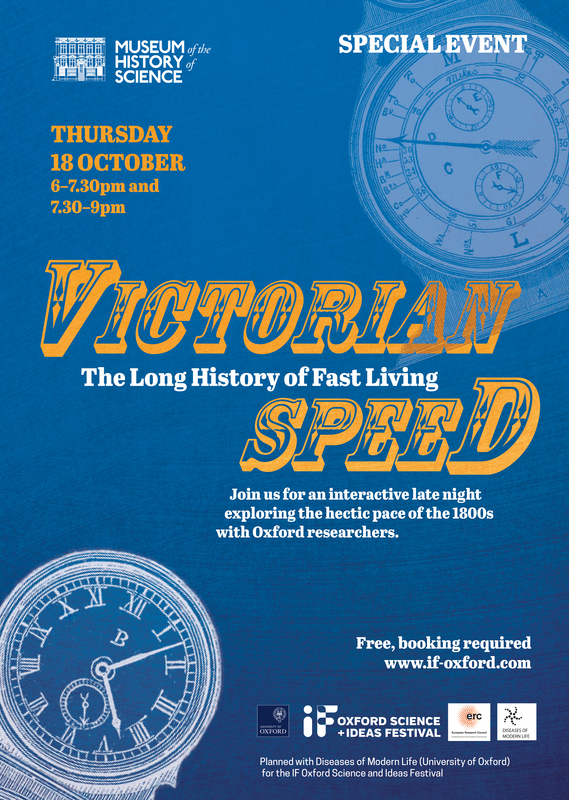 Join us for a fantastic late-night projection and sound show onto the original Radcliffe Infirmary in Oxford! Calling all families, couples, young peeps - everyone welcome to join in the Victorian Light Night Festival in the courtyard! There will be games, stalls, and performances by researchers throughout the night! This event is part of the Being Human Festival and Oxford Christmas Light Festival. We are very grateful to all our collaborators and supporters, including the Maths Institute who will open up their building as part of the night's activities too! For details, click here. Booking for free here.